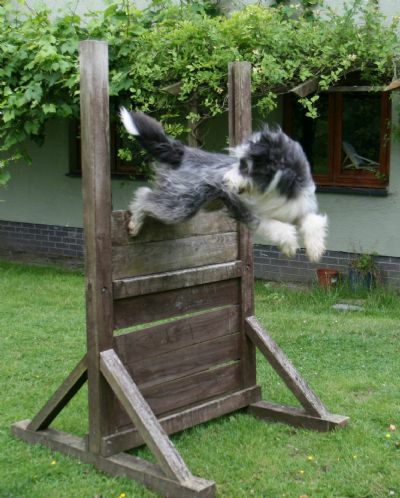 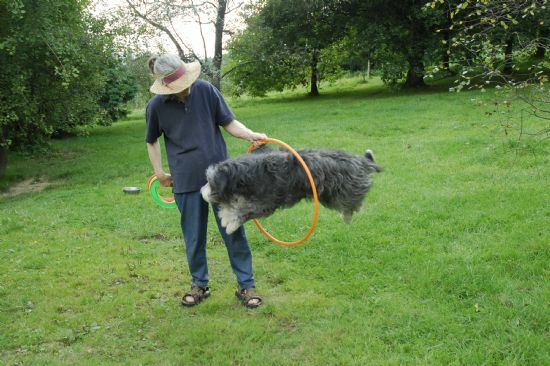 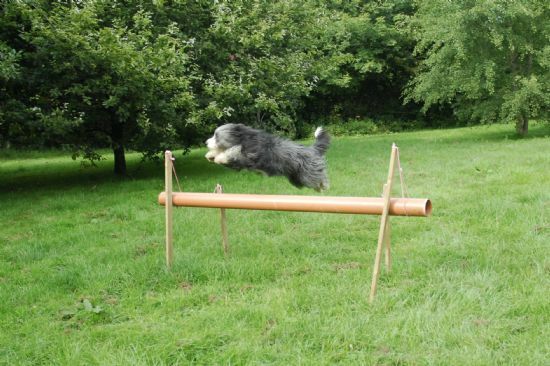 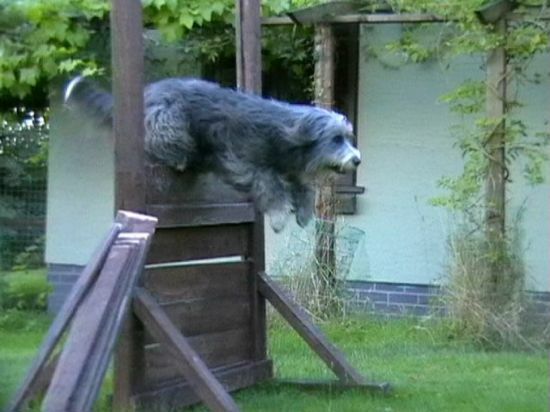 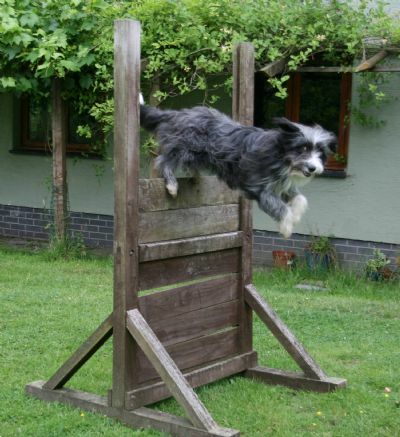 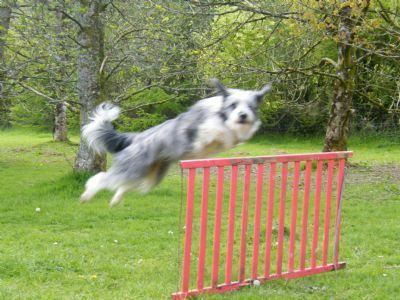 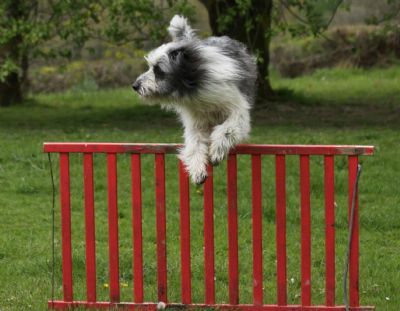 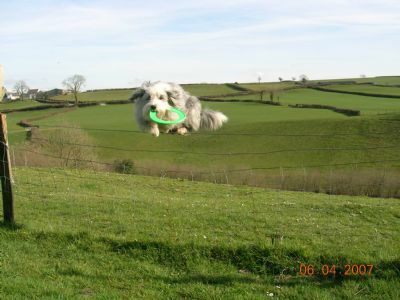 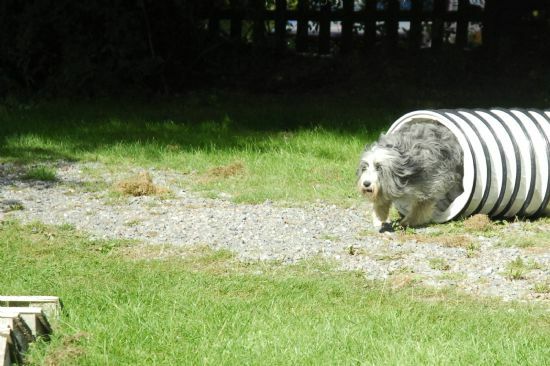 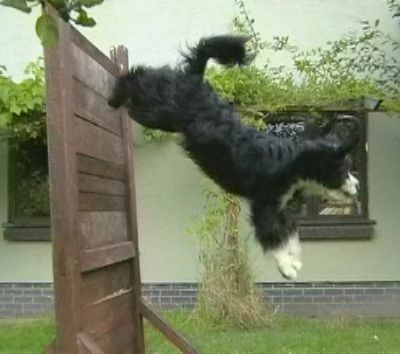 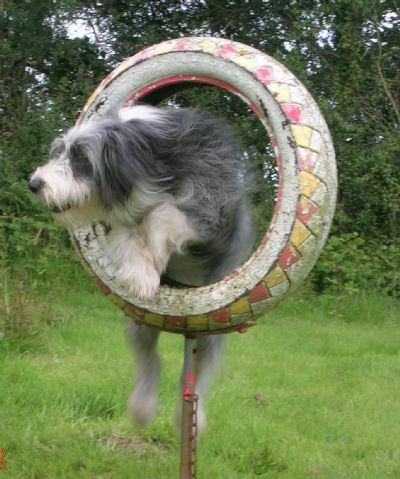 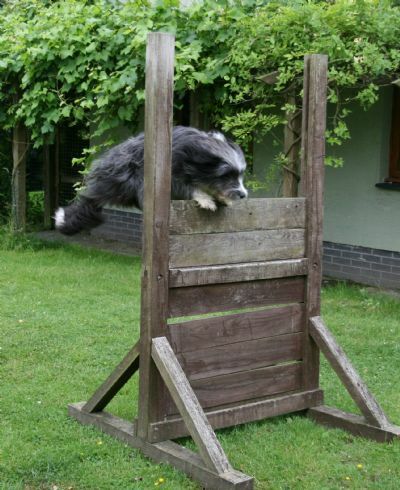 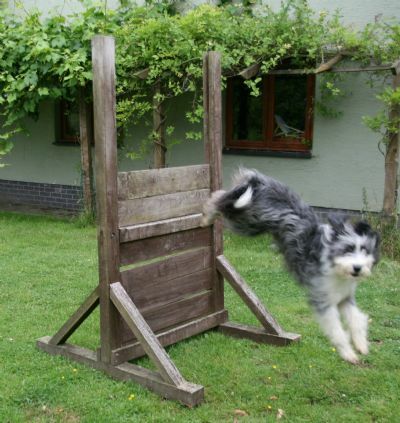 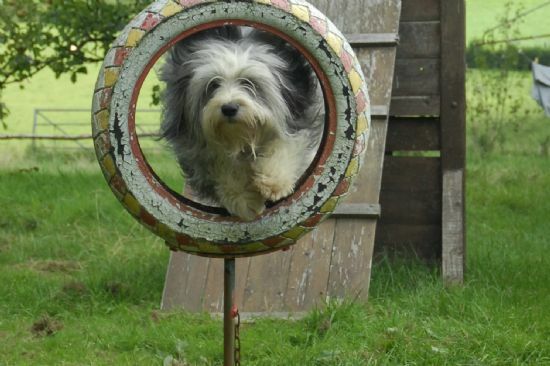 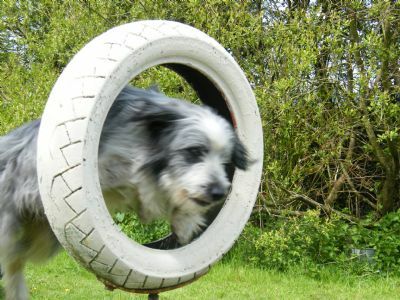 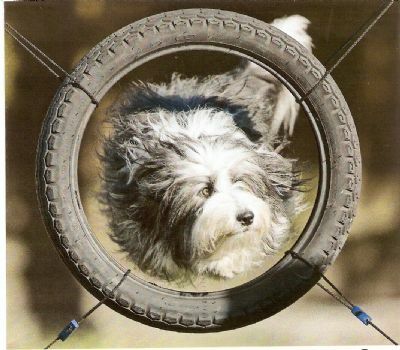 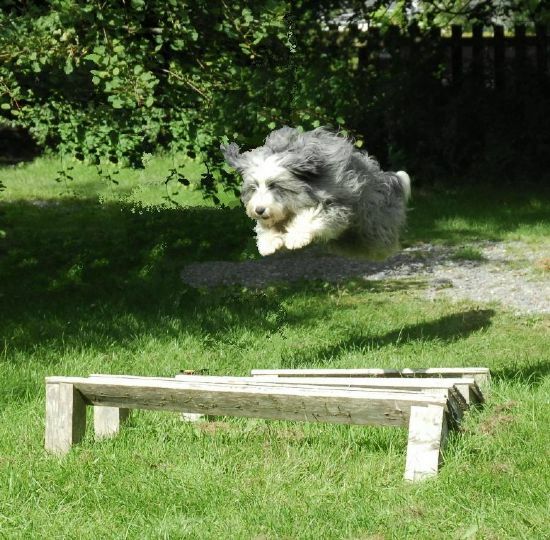 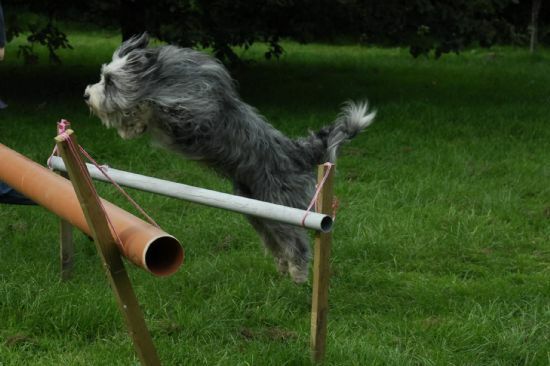 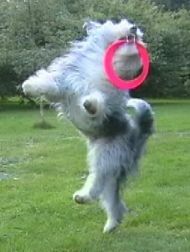 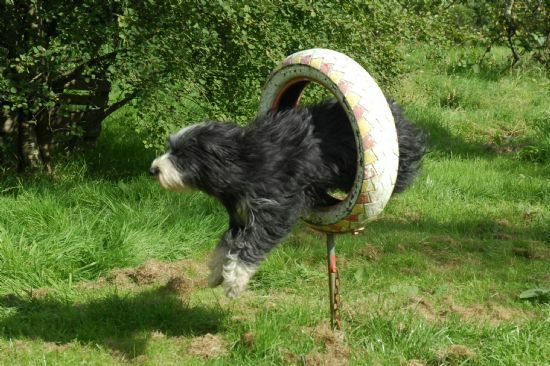 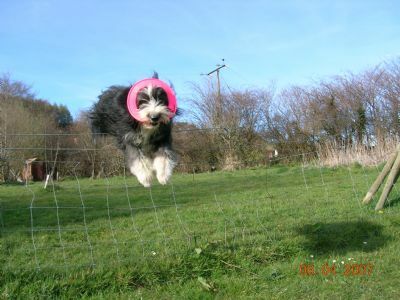 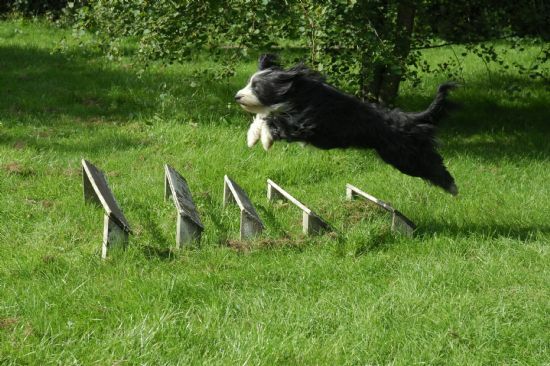 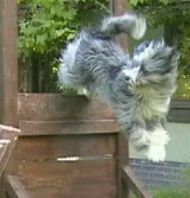 Brambledale Bearded Collies | Action! 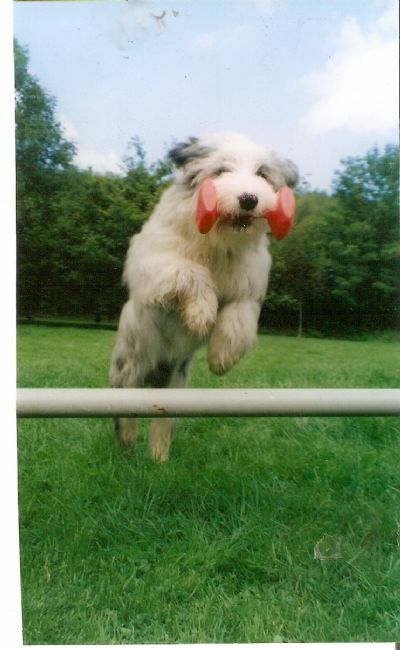 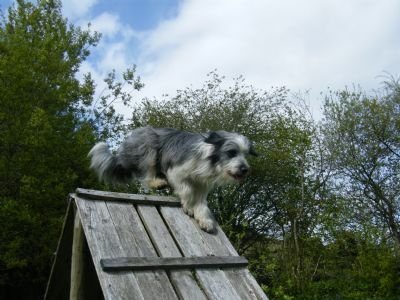 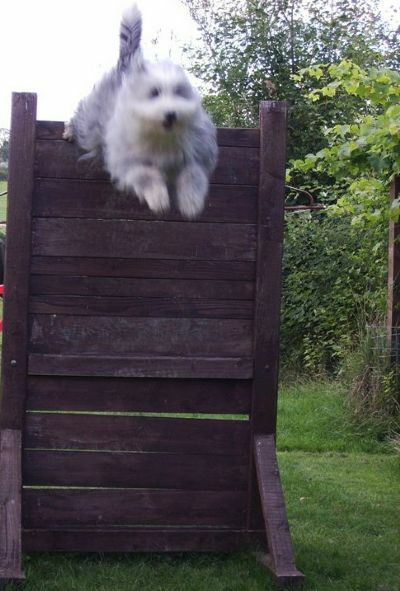 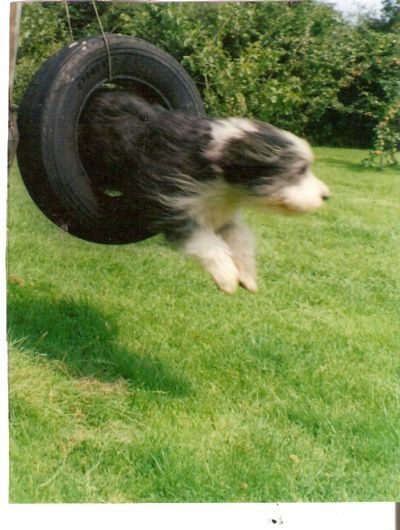 The Brambledales have always been action dogs but sadly I was not an action photographer until I was given a digital camera in 2005! 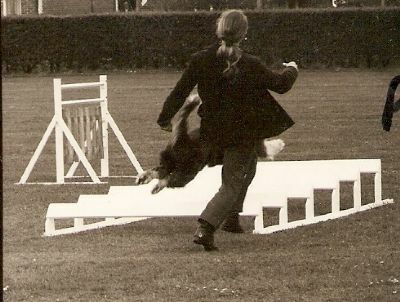 So the only action pictures I can find from the old days are these of Brett taken by a press photographer. 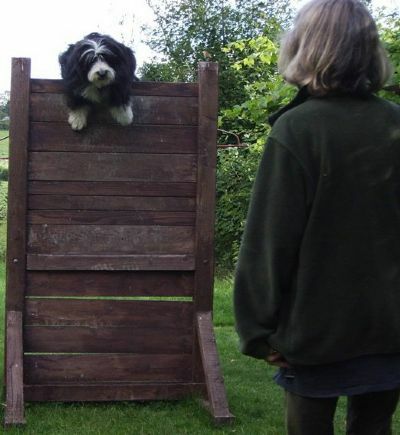 Brett's Great-Great-Great-Great-Great -Granddaughters,Brambledale Brianna (Nan, above ) and B.Briony (Nancy, below ) . 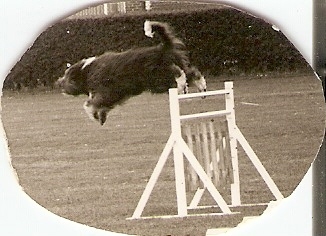 ........and Merle at three years. 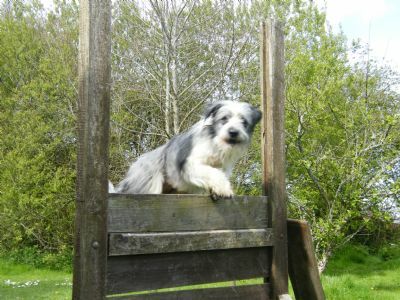 Blodyn + Hanner are Great-Great-Great-Great-Great-Great-Great-Granddaughters of Brett, shown at the top of this page. 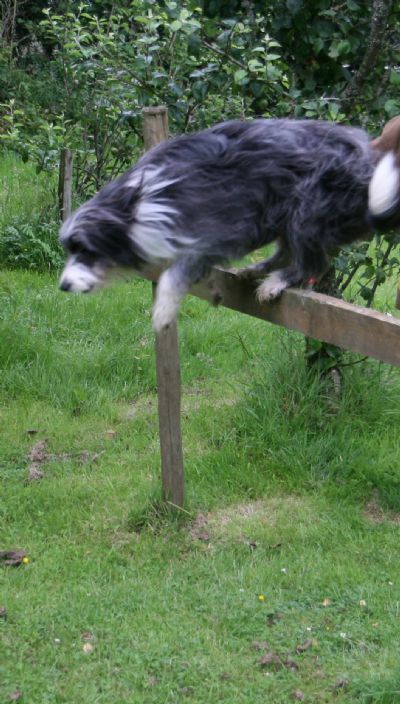 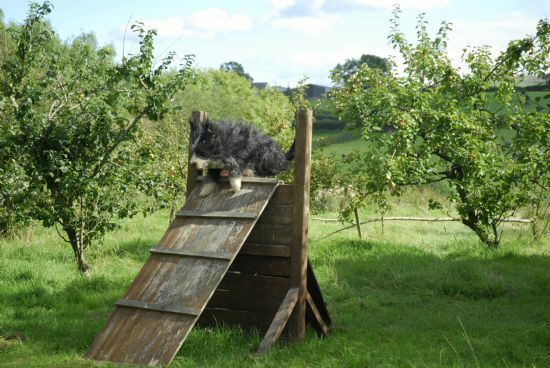 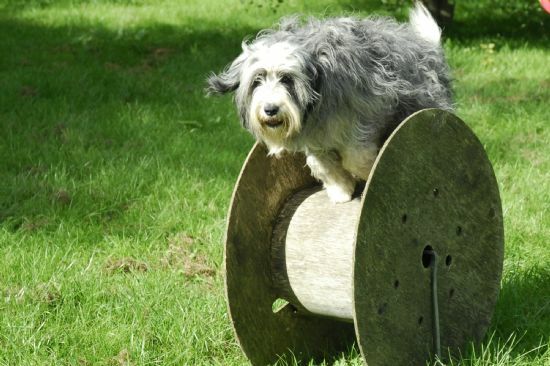 The Brambledales also use their agility and ingenuity in all kinds of novel situations......the pictures below were taken en route to Scotland in July 2009. 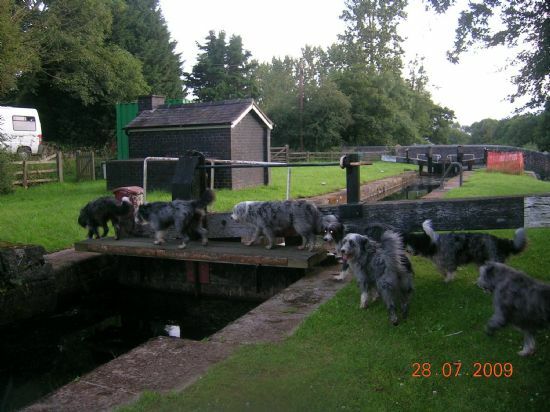 They had no problem crossing the canal safely ........I loved the polite queue! 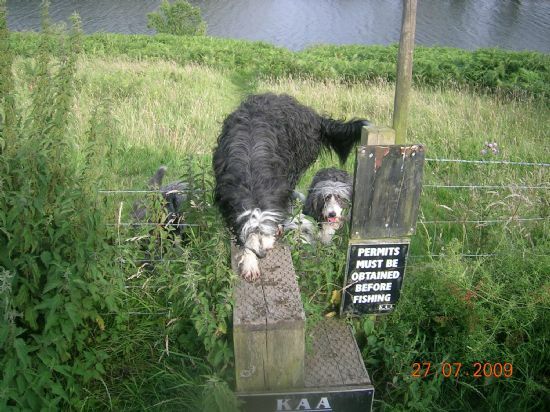 And a complicated style we had to negotiate was no barrier either......again, note the polite queue.